Exploring the Seychelles Islands you are bound to come across many soaring trees teaming with large, green, round, lumpy looking fruits – but what are they? This is “Breadfruit”. 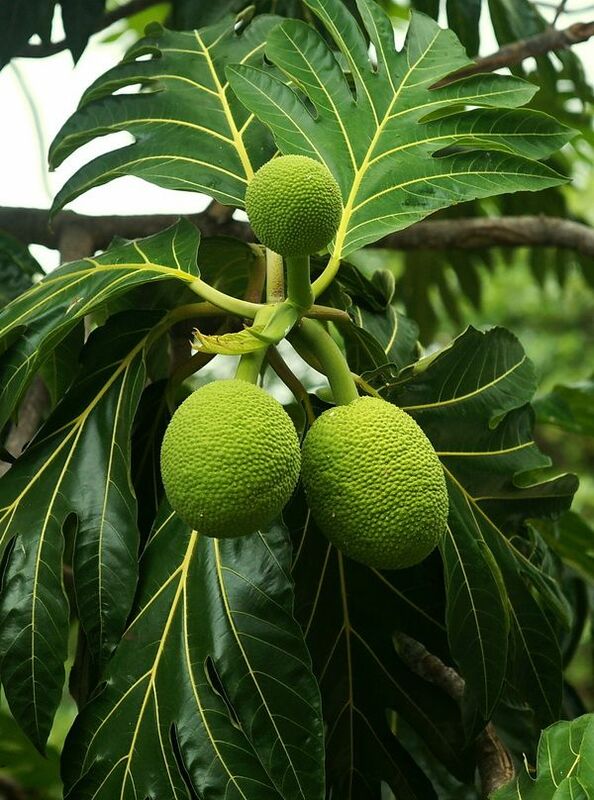 Breadfruit has lumpy green flesh and a potato-like texture which can be served as part of a main meal or turned into delicious sweet or savoury snacks. 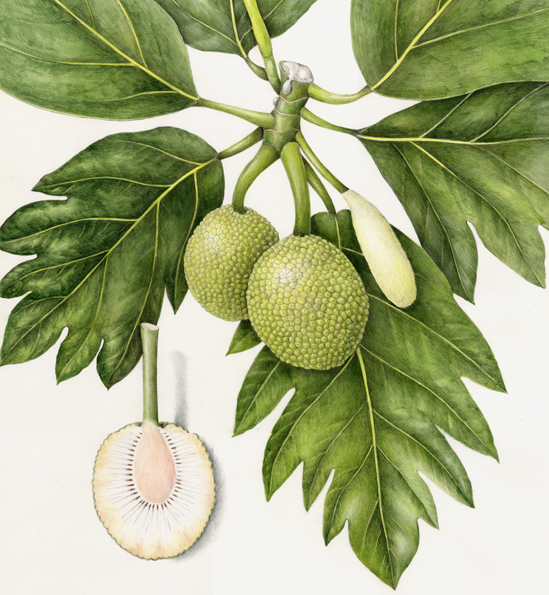 A member of the mulberry family, breadfruit grows on trees that mature quickly and fruit abundantly for many years, which could make it valuable in the fight against world hunger. Amazingly just one breadfruit, which weighs around 3kg (7lbs), provides the carbohydrate portion of a meal for a family of five. 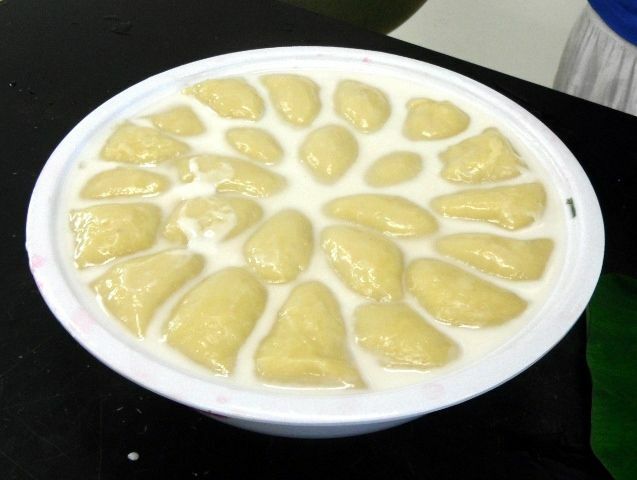 It is rich in vitamins and minerals, as well as being a high source of gluten-free carbohydrate and protein. The protein in the fruit has a higher proportion of amino acids than soy. 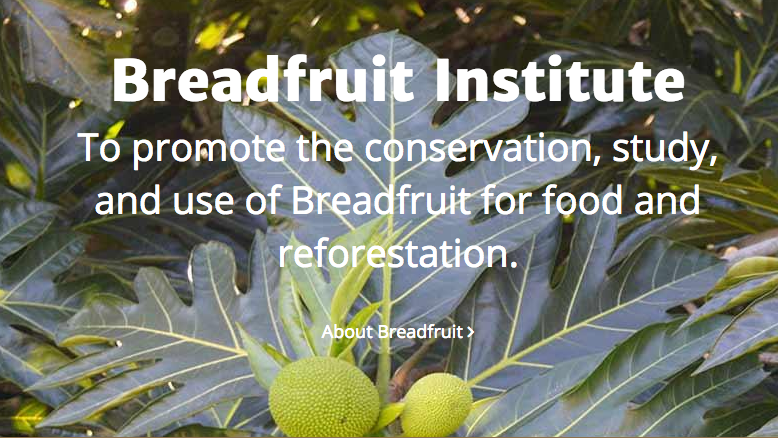 Researching this weeks blog, we were interested to read that scientists from The Breadfruit Institute are working with the charity “Alliance to End Hunger” with the aim of distributing breadfruit to places without a regular supply of food across the world – what a great initiative! So you’ve picked a breadfruit from the tree, now what do you do with it? 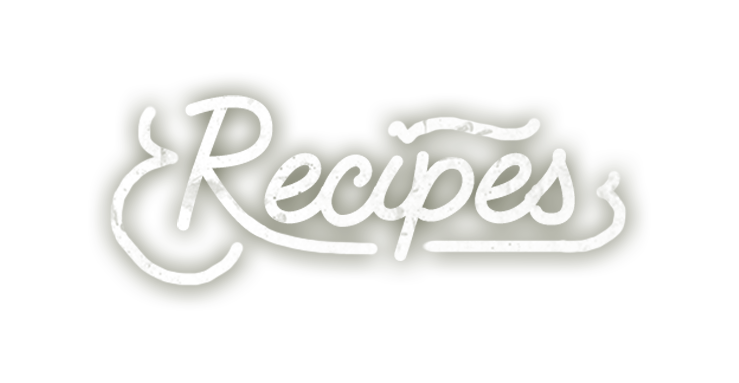 Well the recipes are endless! 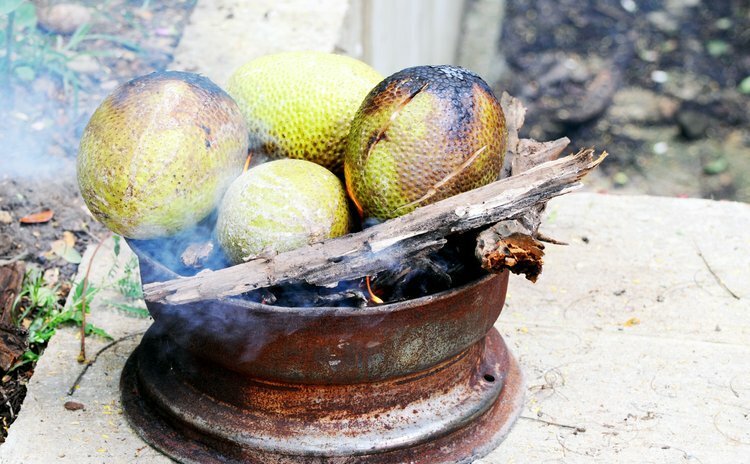 The simplest way to cook breadfruit is to throw the entire fruit into a fire. The skin blackens and the flesh inside becomes almost doughy (hence “bread-fruit”). The smell of the breadfruit cooking is just delicious. Once blackened peel away the skin and chop the flesh into large cubes and slather in butter, and the taste unlike anything you have tried before. 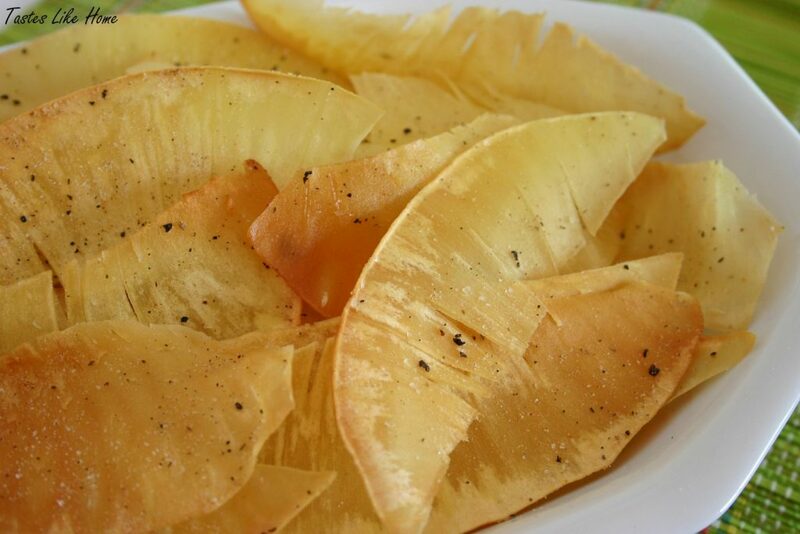 Another common method here in the Seychelles is to make Breadfruit chips and crisps. Remove the skin and cut the raw flesh into chunky chips, french fries or wafer thin slices and fry. Dust with salt and serve while still hot – delicious! If you don’t fancy making these yourself, almost all of the local corner stores sell breadfruit crisps – they’re the perfect snack to take to the beach or enjoy with an ice cold Seybrew! You may recall a recipe we did some time ago for “La Daube Banane”, a local dessert where plantain bananas are boiled in a sweet concoction of coconut milk, sugar, vanilla and cinnamon… well you can use the same exact recipe substituting banana with breadfuit, making another tasty dessert with a moorish doughy texture. (FYI – this recipe can also be made with sweet potato). 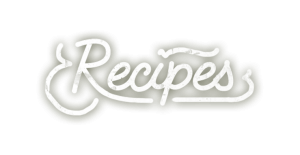 All of the above recipes are generally how breadfruit is served here in the Seychelles, however on researching this weeks blog I also came across some other interesting recipes that I am sure to try! So there you have it, breadfruit is a super food and something that you must try when visiting us here in the Seychelles. The local saying is that once you taste the Seychelles breadfruit you will forever return to our palm lined, azure shores. Anyone got a recipe for gros biscuit ( not sure if I’ve spelled that right) my husband loves it and misses it. He would love it if I could make some. Gros biscuit are yummy indeed. Let us see if we can dig up the recipe for these.